Achieve smooth edge quality, precise hole cutting, and high accuracy through advanced engineering. With high quality components and the strictest assembly and testing methods in the marketplace, the MetalMaster Evolution® will take your shop to the next level. 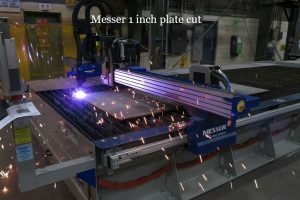 This multiple process cutting machine includes many options such as plasma beveling, cutting, marking, and so much more, with a capacity up to 1 1/2" thickness. 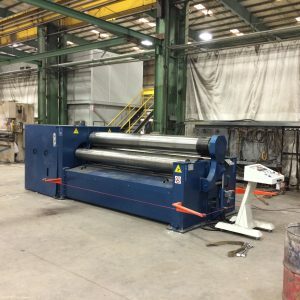 The latest evolution of the traditional bending roll, the Faccin 3HEL is the most precise, sturdy and versatile electronic pyramidal 3-roll bending roll in its class. 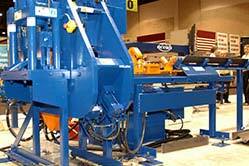 This 3-roll double pinch bending roll is designed and built by Faccin for meeting the needs of metal fabrication. 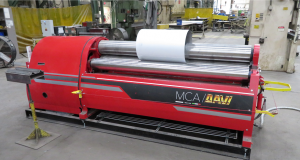 MCA - Four Roll DAVI roller - Innovative and exclusive in design, to roll plate up to 10-15 mm (1/2 inch) thick. Accurate, fast, easy and intuitive, it is the most high-tech plate roll for “light gauge” in the market. Ocean Clipper CNC Angle - 6" x 6' x 5/8" HR. The unique patented design of the Ocean Clipper gives it an edge in the market place where processing clip angles and long bracing angles is a necessity. Accurshear - 10' Capacity Length, 3/8" HR & 1/4" SS Capacity Thickness. The North American built Accurshear is a combination of simplicity and a strong, proven design. This heavy duty shear can tackle any application. 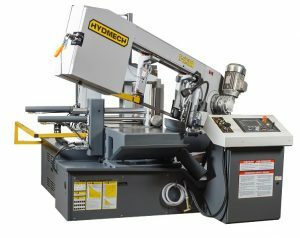 HYDMECH - An automatic scissor style band saw providing exceptional miter cutting capability for industrial applications.